by receiving the Lightarian Ray Program, a series of powerful, guided-meditation attunements inspired by the Celestial Masters...Maitreya, El Morya, Buddha, Sananda and St. Germain...and by our Universal Source. The first five Rays focus on the essential phases of spiritual processing..Empowerment, Clearing, Healing, Activation and Manifestation. The sixth Ray...called the Source Ray... focuses on lifting you further into the unfolding global-human ascension process. *All leading to a greater ability for you to manifest a higher level of Light in your day-to-day life! Beyond the first five Lightarian Rays, the Institute offers an advanced, ascension-focused attunement called the Source Ray...a connection with the energies of our Universal Source. The first five Rays (with their focus on stimulating spiritual processing) serve as an "energetic platform" and prerequisite for the Source Ray, which creates a dramatic leap to a new vibrational connection with even higher levels of divine energies. These levels consist of highly focused energies of pure thought and intention which produce "all of creation within our physical and non-physical reality." The Source Ray creates a resonant, energetic connection for you with this band of celestial energies...focusing on "lifting you further into the unfolding ascension process" that humans and Gaia are experiencing at this time. It is designed to stimulate and support you on your quest for a more perfected and ascended way of "being and doing" in your day-to-day experience. Ready to get yourself on the Spiritual Fast Track? Teacher Training Program - The Institute offers a unique training program for energy-work professionals, who would like to be trained and attuned for sharing the Lightarian Rays with others. With this Training Program, you receive the Ray attunements for your personal benefit plus learn all of the necessary methods so that you can immediately attune your own clients and train/attune your own students. Includes materials and certificate. As a Client - Receiving the Lightarian Ray attunements as a client, strictly for your own personal benefit, is very self propelling. The Rays are passed on to you via a simple, guided-meditation technique during a one-on-one private session...either over the telephone or from a distance (via remote telepathic techniques) depending on your preference. Includes certificate, no materials. You can book your Attunement by calling us at 508-362-8000, or purchase your Rays program here and we will contact you within one business day to schedule the Attunement at your earliest convenience. Please include your name as you would like it printed on your certificate, your mailing address where your materials should be sent and the best phone number to reach you. 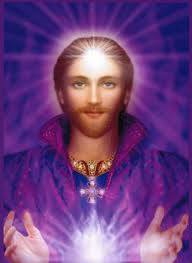 Start your Ascended Master connection today!